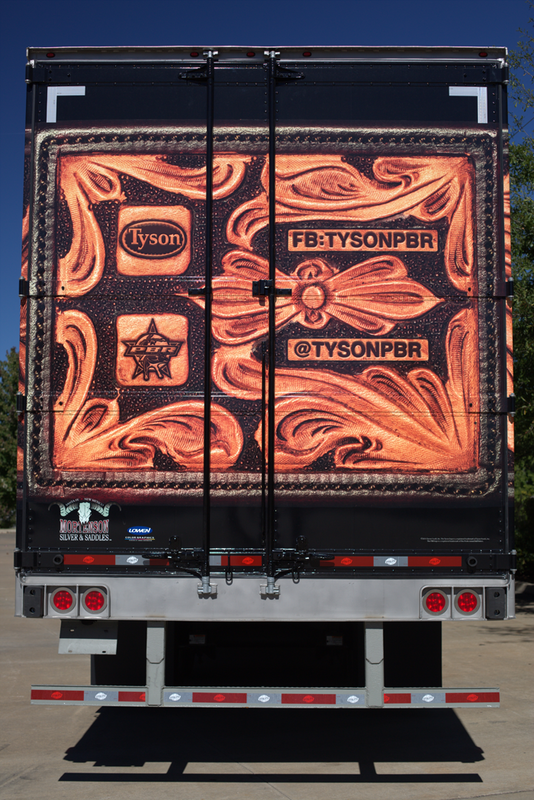 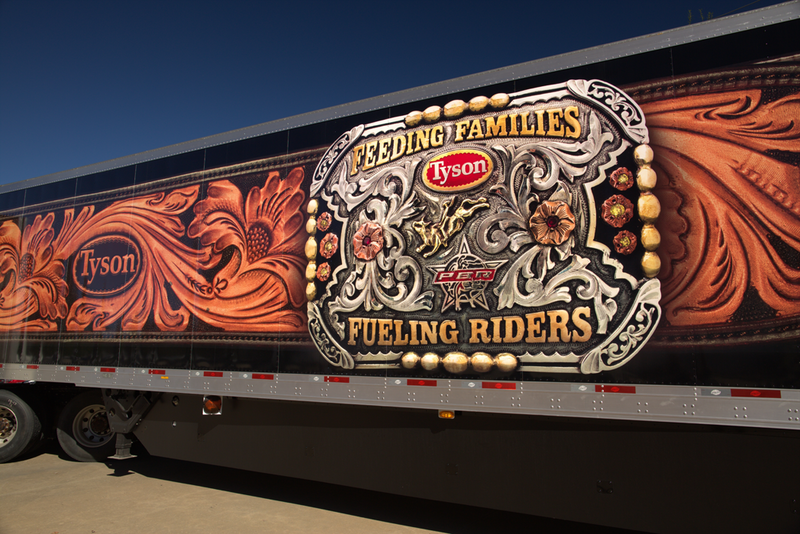 We were asked to design a truck wrap to bring awareness to Tyson Foods’ sponsorship of the Professional Bull Riders (PBR) organization. 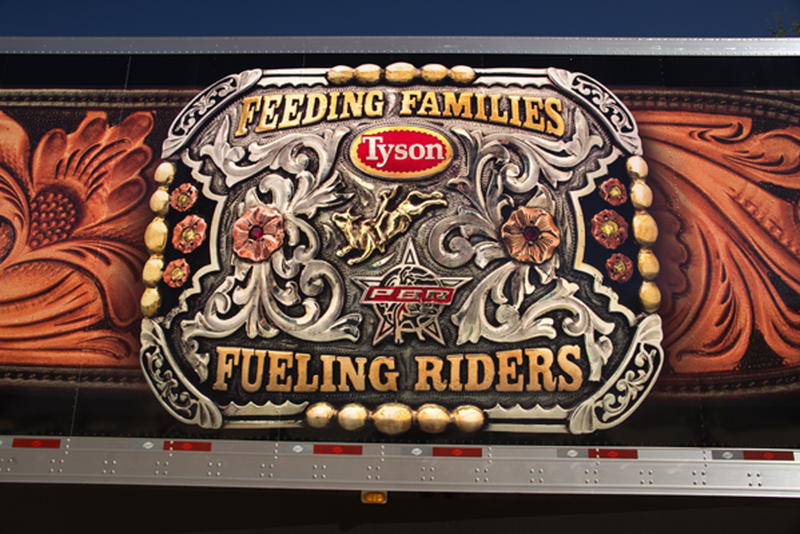 We knew right away that we didn’t want to show food, and we didn’t want to show the shoulder-to-shoulder bull riders shot. 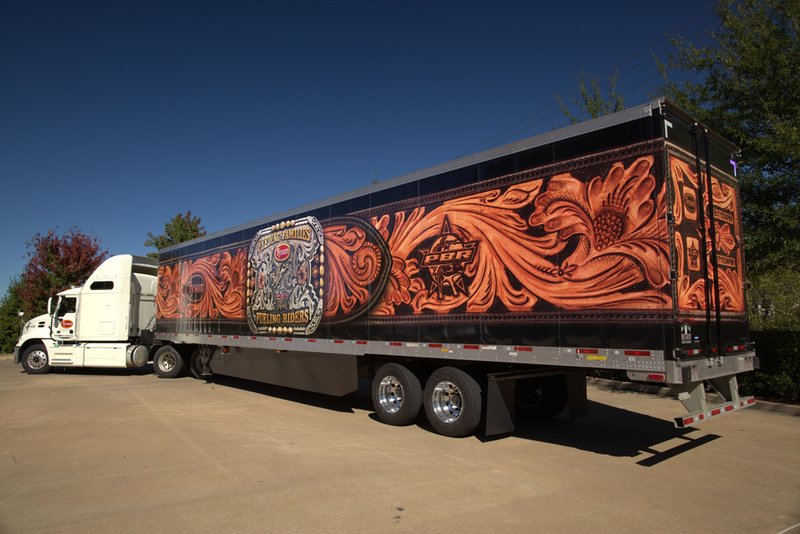 So we commissioned a custom belt and buckle made to photograph for the wrap.